Many people say that your status can be seen by the watch and shoes you wear. While this is true it is also essential to have a belt that makes you feel confident and on top of the world. 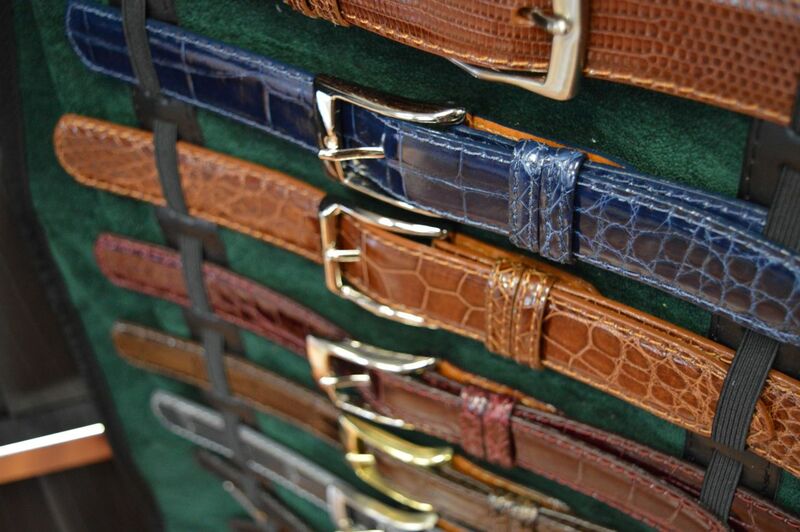 At WT Clothiers we offer a wide range of custom belts. Made from genuine Italian calf, caiman alligator, lizard, snake, and ostrich skin we have just about every exotic skin you could think of. We provide 2 different belt buckles of your choice upon purchase and allow you to customize the length, stitching, and width of your belt. Call and make an appointment at (703) 352-8852 or stop by the studio in Fairfax, VA today!